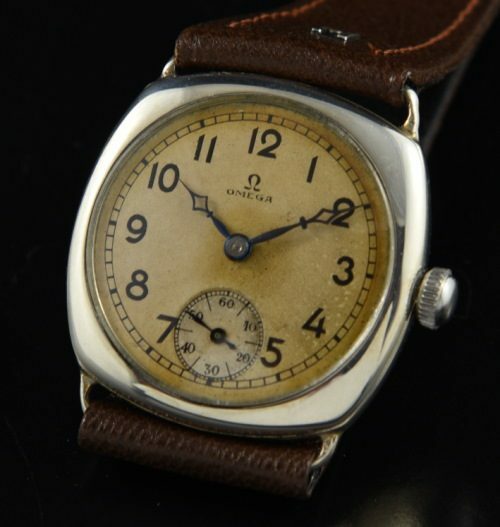 This 1932 OMEGA in Sterling Silver measuring a usual (smaller) sized 1930’s era 30.5mm. case. The Sterling silver case has fixed lugs and a hinged case. The dial with was restored many, many decades ago and retains the original blued steel handset. 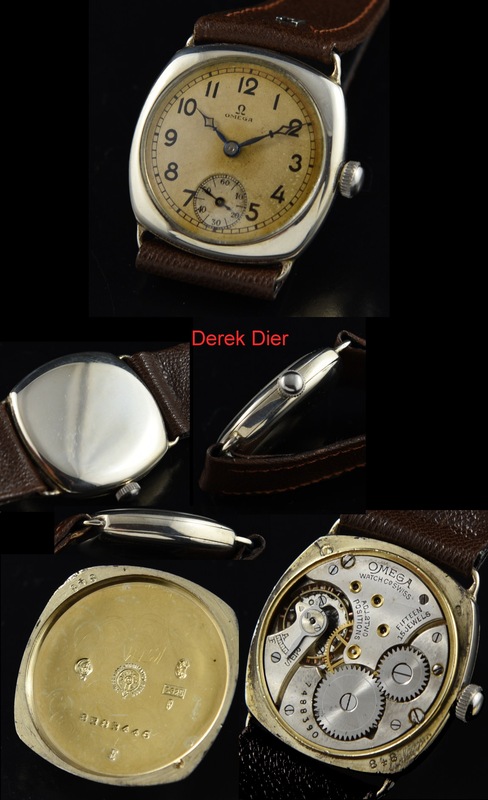 The manual winding OMEGA movement is adjusted to 2 positions-cleaned and accurate.